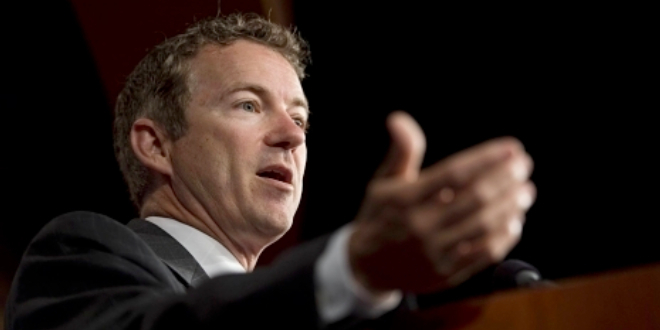 Whether Senator Rand Paul intended to or not, he began his Presidential bid tonight. The Republican Congressman from Kentucky, and son of elder statesman Ron Paul, took to the Senate floor this morning to address the business of the day, which was the nomination of John Brennan to the post of CIA Director. A controversial pick by President Obama, Brennan’s confirmation hinged on whether or not the U.S. government can legally use unmanned drones to kill American citizens on U.S. soil. 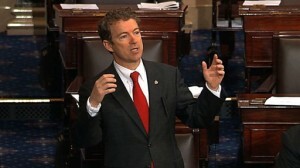 To head off an assured vote by the Congressional body, Paul initiated a filibuster in the Senate chamber and effectively blocked Brennan’s nomination. During Paul’s extensive oration, he noted on several occasions that he would happily yield the floor on one condition: that the White House provide clarification on the legality of lethal drone use. The filibustering stretched from morning to night, but no clarification came. By not answering this key question, President Obama has allowed Sen. Rand Paul to: 1) speak at length and wax philosophical on the Constitution and its importance in preserving man’s freedoms, 2) bring to light a topic which the White House had considered a settled matter, 3) reframe the discussion and take control of the argument, 4) draw attention to the growing liberty movement, and 5) use social media openly during a Congressional session to drive the argument home. 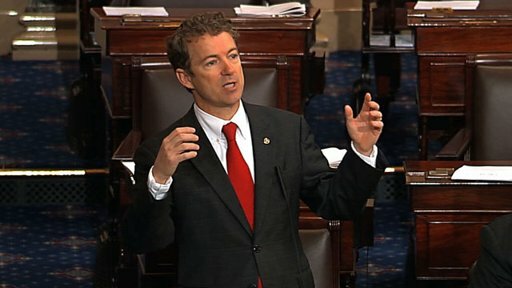 Yes, that’s right, the Grand Old Party, long thought to be the aging dinosaur in the era of the modern political campaign, created a Twitter hashtag live on the Senate floor, #StandWithRand, and urged the American public to show their support for the Senator’s message by sending tweets containing this hashtag. The people reacted and the term quickly rose to the top of the list of trending topics on Twitter. As Rand continued to stand, one thing continued to emanate from the White House: silence. Deafening silence. The absence of communication will not make the issue go away, however. The cat is out of the bag now, and the sleeping giant that is the complacent American patriot is awakening. And most ironically, Rand Paul has just become the GOP’s most viable candidate for President in 2016, an idea that they can’t stand.